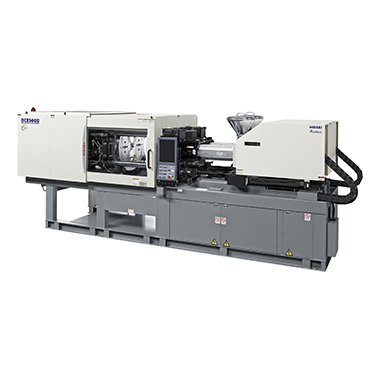 Electric 2-color/dissimilar material molding machines｜Products Information｜NISSEI PLASTIC INDUSTRIAL CO., LTD.
DCE-Ⅲ series is equipped with the new clamping mechanism "Double Flat Clamp," into which the idea of the hydraulic 2-piston clamping mechanism is incorporated, permitting ideal transmission of clamping force to two sides of a mold. Furthermore, the high-speed, shockless mold rotating mechanism, high-speed control (control cycle: 100 microsec.) for stable injection operation, and various types of high-speed operations permit the series to meet the needs for diversified two-color molding.